Welcome a new night of Soulful, Deep, Disco, House music that moves you! 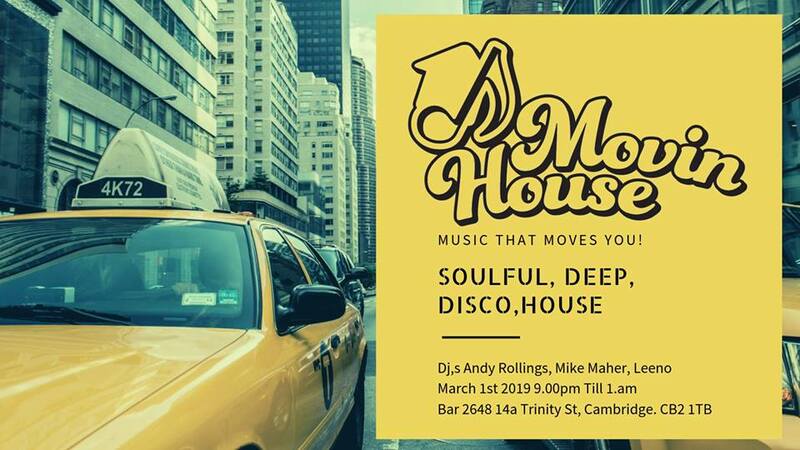 Resident Dj’s Andy Rollings, Leeno (Houseology) and Mike Maher (Grand Cental) will bring House music that moves you back to Cambridge! At the wonderful cocktail paradise that is Bar 2648 complete with the new Tequila lounge. Join us for a night of excellent House music and fantastic cocktails.